I've decided to put together a list of all the Colorado forum members. It will be great to know how many RS' are in our great state and where they are for meets and events. I've used information I've seen in various threads so if you don't want your info listed please let me know. Conversely, if you would like to be added to the list or if I have missing or incorrect info please let me know via this thread or PM. 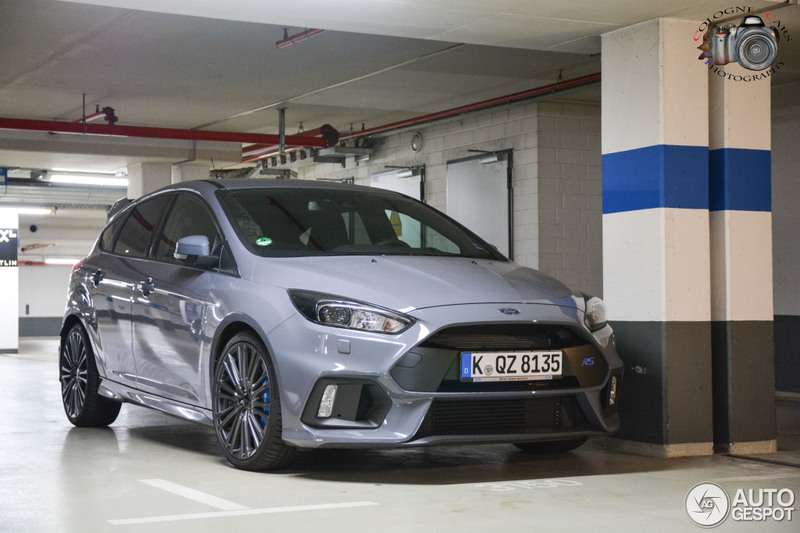 5280FocusRS and Wolfrabbit like this. Very cool. Looking forward to meeting everyone. 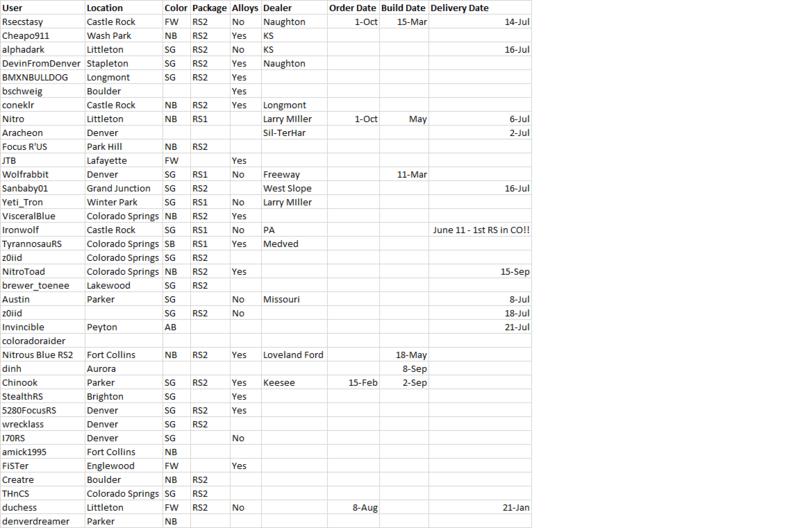 Update, i ordered oct 1, I have an early May build and have the rs1 package. Last edited by Nitro; 05-06-2016 at 10:22 AM. Will do. Lots of updates to add, just haven't had time. I'll refresh the list this weekend. Boom! Selected for scheduling back on April 7. About friggn time. I was beginning to think this whole operation was a sham. Sponsors: Mishimoto, TFBDesign's, ADF Customs, AWE Tuning, JST-Performance. Stealth Gray, RS2, w/Moonroof, Alloy's w/Pilot Sport Cup II, E30 JST tune, Mishimoto intake, Mishimoto charge pipes and intercooler, MIshimoto coolant hoses and expansion tank, AWE Track Exhaust, ADF Customs skid plate. SG RS1, no options for this simpleton. @Yeti_Tron We are getting the exact same car.